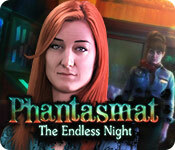 Phantasmat: The Endless Night is rated 4.4 out of 5 by 32. Rated 5 out of 5 by jessickamckenzie from An oldie but a goodie!! I am running out of things to play so I started to play older versions of some of my favorite series. Most do not even come close to the level of quality of the newer ones. This one was a great game. Yeah you can tell in the graphics that its older, but with the interesting story, the awesome places you go, and the challenge level, I promise you will hardly notice the older graphics. Oh and you defiantly get your moneys worth. This is a long game! Rated 5 out of 5 by Blueberry26 from Great Just loved this game. So much to it, never got boring. Rated 5 out of 5 by Bumbles2 from Phantasmat ? Fabulous !!! Lots to do in this game....I enjoyed every minute !!! I have not played many of this type of a game and am planning on playing way more after this one...this held my interest from the very beginning and I had a hard time putting it away. It starts out with you driving your daughter to the Prom to meet her friends...then all of a sudden there appears someone on the road...you swerve to miss him...you are knocked unconscious and when you open your eyes your daughter is nowhere to be found...it's then that your search begins. You enter the school and that's where you have to solve various quests that you're given which in turn helps you find your beloved daughter !!! This is a type of game that will hold your interest and it will be a challenge to put it away. 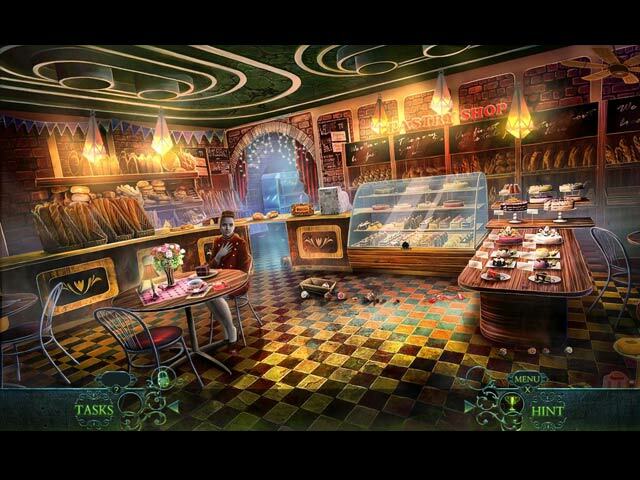 The music was fitting for this type of game...and the Graphics were superb...there was no need to grab your magnifier to find the objects in question...it was very well done by the artists !!! I particularly loved the mini-games...at times they were a wee bit challenging but all are doable. Ok guys ... hold onto your hats folks, this is the type of game where it kinda leaves you hanging until you enter the next scene...then it all comes together. I just couldn't put it away...I just had to know what happens. I believe you'll enjoy this game from start to finish...its an awesome game and well worth playing. Have fun everyone !!! Rated 5 out of 5 by jkl4444 from Great game I enjoy games that are set in present times. This game did go back to 1964, but that was ok. This game was rare in that it a great twist in the end that I did not see coming. Rated 5 out of 5 by childofgod4 from Awesome game This game is a lot of fun! I would buy all games by this maker. I did not want the game to end and I will keep my eyes open for the next game. Rated 5 out of 5 by rondakbandy from My current favorite. This series is just excellent, but for me, this had all the things I like in a game but with another really great story.I couldn't stop playing it! I got about 7-8 good hours of game play out of this one, maybe more because I kept loosing track of time. Pros: Customizable difficulty, a fully functional jump map (you can't jump floors though) and you are offered various kinds of HOS or a match 3 game. I love this option because instead of using hints, I find what I can then switch gameplay. It's all gaming all the time. Cons: I never play the music so that might be fine but I found some of the background sound to be really annoying. That's literally all I could find to dislike. The mini-puzzles range from somewhat easy to difficult. Even though I loved it, I suggest either playing the free trial or Youtube it and skim through the first HO scene to get a better idea if you'll like it too. Big Fish has a YouTube channel and it's much bigger than the one you see on Big Fish. Enjoy! Rated 5 out of 5 by writer3 from A great third!! 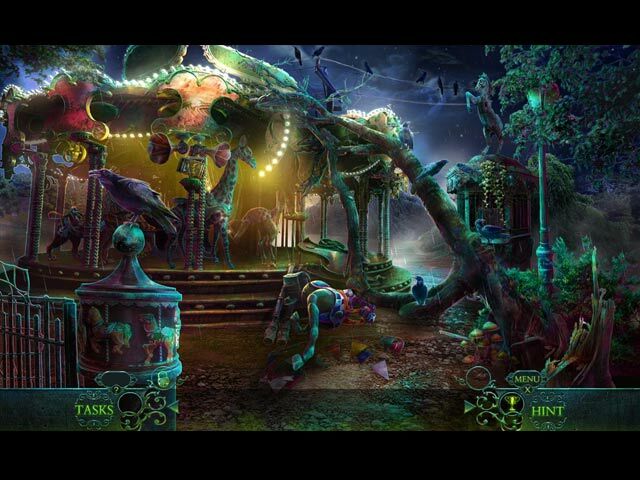 I think this is a wonderful third installation of the Phantasmat games. The mini games are so cool. They're each unique, fun, clever, and not too hard or too easy. This is a well thought out game with a good, creepy storyline. Worth a buy!! Rated 5 out of 5 by JenSolley from OMG!!!!! LOVED IT!!! I resisted playing this game because I played the first one and I didnt like it!! But this one was awesome!!! I loved playing it soooo much!!! I wish I would have purchased the CE edition, so I could have played the bonus game!! I completed the entire SE version of this game. I really enjoyed the story line, I liked that it took place in more "modern" times. The mini games were fun and were not too challenging (I didnt get annoyed and skip any of them), the HOP scenes were mixed up, so you play a different type each time. My favorite HOP scenes were the ones where you find like 5 morphing items there were a couple of those. There were lots of places places to go. There was some back and forth but that was ok because there is a "auto-hop" map. There is no journal, but I didnt miss it at all!! You can adjust the hint and skip, so that is not an issue. It is a nice long game, it took me all day, but I play slow and take my time!! The graphics were very good. I recommend this game! !